Reserved - Thank you Reid! Beautiful black tri male. Approx 25-30 lbs at maturity. One blue eye / one brown. Reserved - Thank you Travis! Stunning little blue merle female -very neat girl girl. Absolutely gorgeous and perfect in every way. Will be a show stopper! Approx 25-30lbs at maturity. Blue eyes. Reserved - Thank you Irvin Family! Reserved - Thank you Jessica! Reserved - Thank you White Family! Striking Blue Merle male. Full collar. Merling will develop over left eye as he grows. Gorgeous, gorgeous boy. Nice copper trim. Approx 30lbs at maturity. Blue eyes. Reserved - Thank you Bresko family! Striking boldly colored Blue Merle male. Full collar. Gorgeous, gorgeous boy. Nice copper trim. Approx 25-30lbs at maturity. Blue eyes. Reserved - Thank you Arthur! 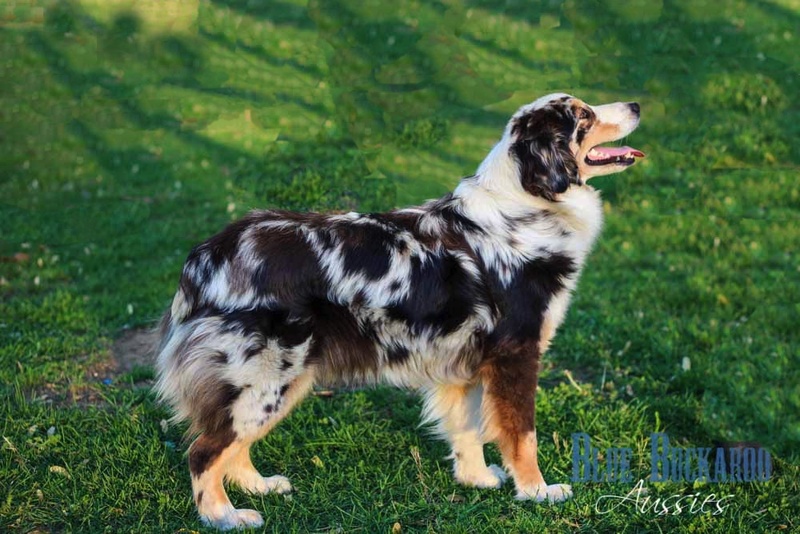 Stunning little blue merle female - great copper and bold accents. Absolutely gorgeous and perfect in every way. Bright copper trim. Will be a show stopper! Approx 25-30lbs at maturity. Blue eyes. Reserved - Thank you Danny! 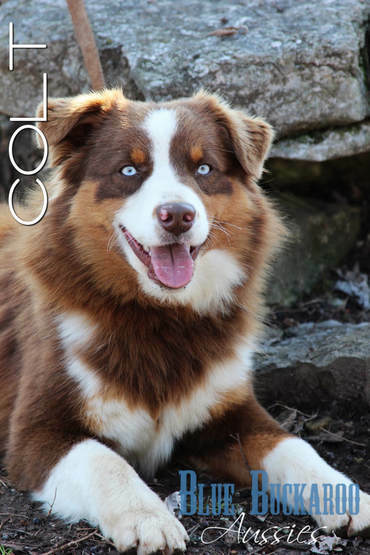 Beautiful little blue merle female - great copper. Darling little girl! Approx 25-30lbs at maturity. Blue eyes.